A security Engineer at Microsoft has revealed a botnet spam that can attack Android based devices and access yahoo mails. A botnet is a collection of compromised computers, each known as a “bot”, connected to the Internet. 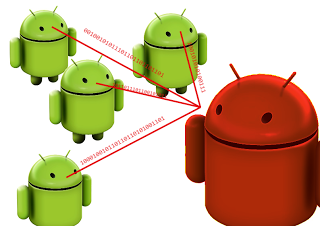 Botnets are formed when computers are targeted by code within malware (malicious software). Computers are often recruited into a botnet by running malicious software.Microsoft Engineer Terry Zinc claimed that a number of Android devices of various developing countries, such as Chile, Indonesia, Lebanon, Oman, Philippines, Russia, Saudi Arabia, Thailand, Ukraine and Venezuela are infected by the botnet. Zinc further added “I am betting that the users of those phones downloaded some malicious Android app in order to avoid paying for a legitimate version and they got more than they bargained for. Either that or they acquired a rogue Yahoo Mail app.